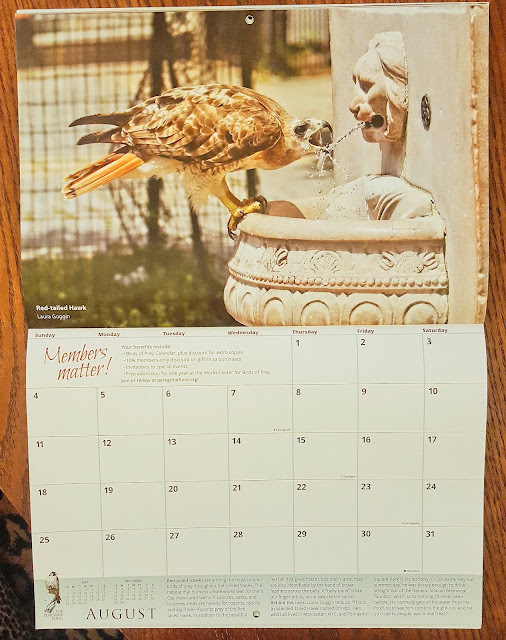 Our local Tompkins Square red-tailed hawk, Christo, is featured for the month of August in the 2019 Peregrine Fund "Birds of Prey" calendar. The image is of Christo on an extremely hot summer day drinking water from the General Slocum memorial fountain in Tompkins Square Park. Calendars are available for purchase from the Peregrine Fund (PDF order form), or you can receive one for free when making a donation. 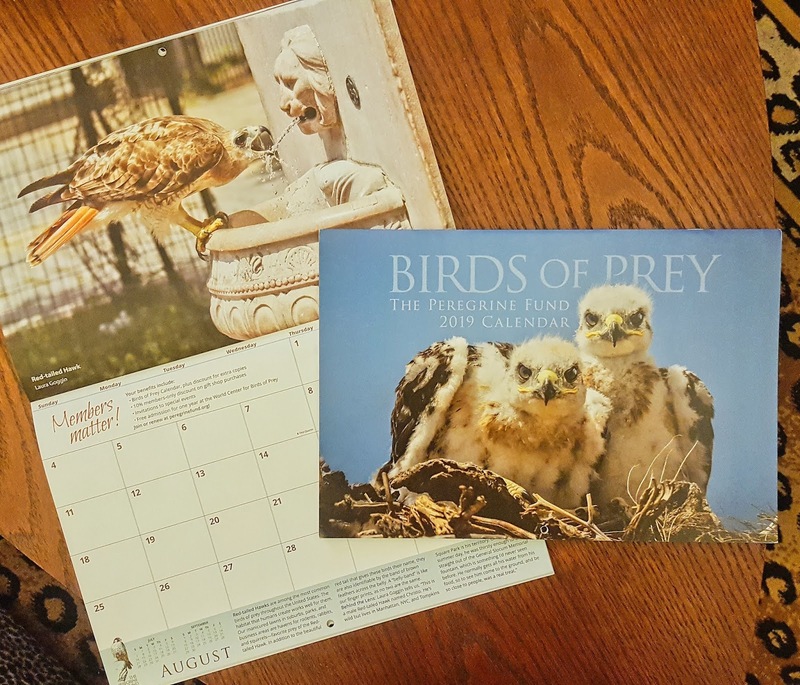 The Peregrine Fund does inspiring work to conserve raptors. You can read more about what they do and how to get involved on their website.